Searching for the best used green cars to buy is a whole lot easier when consumers have the advice of recognized experts in the area of eco-friendly, fuel-efficient cars. 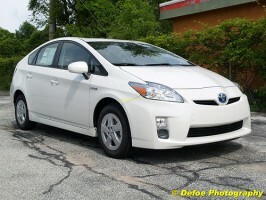 Here, we turn to the folks at Green Car Reports for their list of best five used green cars to buy. Not surprisingly, these are cars that appear on many lists of practical, fuel-efficient vehicles – despite being “green.” Take a look. green car value for the eco-conscious buyer looking to maximize fuel economy and do less harm to the environment. While this generation of Prius hybrid gets 46 mpg in combined fuel economy, the five-door hatchback may be in fairly scant supply on dealers’ used car lots. That’s because consumers who own them are not too eager to give them up. Still, if you look long and hard enough, this is one of the best used green cars to buy – and will continue to hold its value over time. 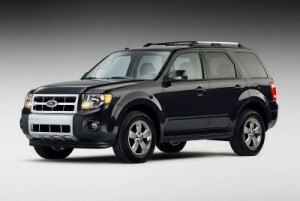 out the model years of 2006 through 2011 as some of the best for used green car shoppers. 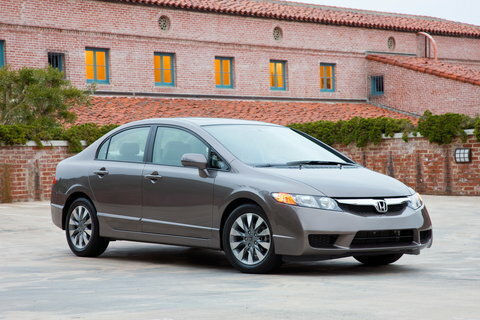 These model years also represent the second-generation of hybrid, in this case, for the Honda Civic Hybrid, which gets an EPA-rated 41 mpg combined fuel economy. The compact four-door sedan, notes the publication, doesn’t look any different than its gasoline-only counterpart, so only those in the know will, well, know. 2009 Volkswagen Jetta TDI – Not a hybrid, but a clean diesel-powered car, the 2009 Volkswagen Jetta TDI returned after a two-year absence (2007-2008) as the linchpin of a growing lineup of clean diesel vehicles from VW, including the Golf TDI to the Touareg TDI SUV. Note that Volkswagen Jetta TDIs often exceed their estimated highway ratings and, for example, the 2010 Jetta TDI achieves an estimated 34 mpg combined fuel economy. If you do a lot of highway driving, a diesel-powered Jetta may be the way to go. If you’re mostly a city driver, consider a hybrid. compact crossover SUV can be fuel-efficient and eco-friendly at the same time – and do most everything else consumers need in a family or commuter vehicle. Two restylings, availability in two- and four-wheel drive, and batteries that should last 300,000 miles (many have already done so), and the 2004-2011 Ford Escape Hybrid may be the right choice for your next used green car. 2008-2011 Chevrolet Tahoe Hybrid – No, this is not an oxymoron. Some folks with larger families and/or need to haul a boat or trailer or carry lots of cargo can still find a fuel-efficient large SUV that’s also kinder to the environment. With a combined fuel economy of 21 mpg, the 2008-2011 Chevrolet Tahoe Hybrid may just fit the bill for your family’s needs. 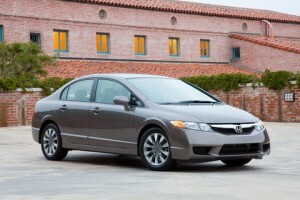 Are there other choices for best used green cars to buy? The answer is undoubtedly “Yes.” But, when it comes to finding eco-friendly and fuel-efficient vehicle choices to suit a variety of consumer and family needs, you might just as well start with these.